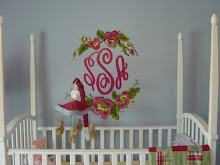 I was thrilled to do the letters for Baby Amelia's nursery! Mandy did such a fantastic job decorating and accessorizing. I was so happy to get to meet Amelia and see the letters hanging over her crib. Precious! This canvas was for Avery's older sister Aubrey! The bright colors were so fun to work with! 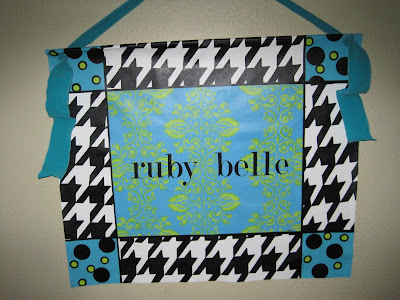 This canvas and bulletin board was such a treat to make! Loved doing the zebra! Caroline wanted to use this on her hospital room door instead of a wreath and then she used it on Charlie's nursery room door. I thought that was a cute idea! For my dear friend. Sorry it took me a little while! Baby S makes me so tired! Keaton...Not Michael or Alex P.
What a handsome boy! 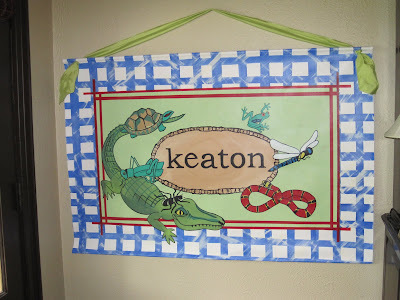 I was so lucky to get to make this for Keaton's room, thanks Jessica!